The Shop Fox W1668 is a breeze to use and operate for the everyday DIY task or for the more advanced professional jobs. This machine definitely has sufficient power and speed. 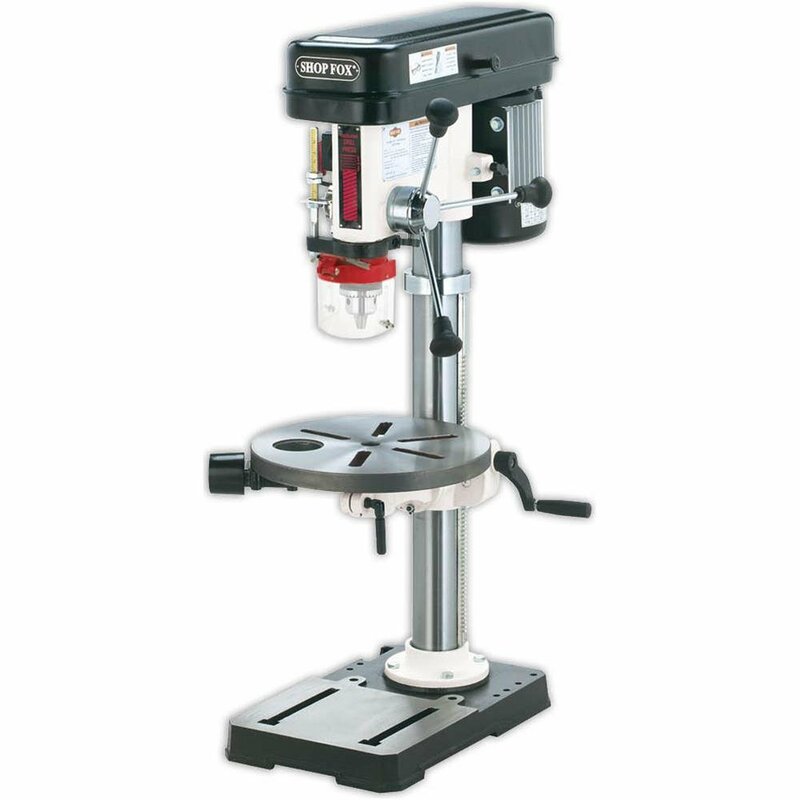 It is also a very versatile drill press able to comfortably tackle a large variety of tasks because it is powered by a 3/4 horsepower motor and has 12 different speed (RPM) settings, so you’ll be able to adjust to whatever material you’re currently working on. Comes with kit to make it double as an oscillating sander too, so you get more than just a great drill press, you get a tool which is great for efficient contour sanding too. Maximum table tilt (left/right): 90 degrees. Anyone who needs a high quality versatile drill press for their work space will not be let down by the shopfox. Because of its great speed settings and high power motor it can easily suit drilling into most materials. Although this product may be towards the higher end for some peoples budgets it does have an array of incredible features that make it worth every penny if you’re looking for something that is “high end”. So considering it is very high quality and full of features I think it’s a good choice for some, but you should consider your budget and what your needs are. Depending on your circumstances a machine like the WEN could actually be more suitable for your budget. Thank you for visiting “Drill Press Pro”. We are a site dedicated to bringing you the latest information about the best tools on the market. We publish detailed reviews and information to help you understand which tool is the right choice for you. We’re very passionate about using and reviewing tools, so we hope you get something useful from your time here. drillpresspro.com is a participant in the Amazon Services LLC Associates Program, an affiliate advertising program designed to provide a means for sites to earn advertising fees by advertising and linking to Amazon.com.